New Delhi: The Delhi High Court asked hospitals here to keep digital records of post-mortem reports as backup in case certificates issued to victim’s families get “mutilated”. A bench of justices B D Ahmed and Sanjeev Sachdeva also asked the authorities concerned to keep the digital records of the photos taken at the time of conducting post-mortem. 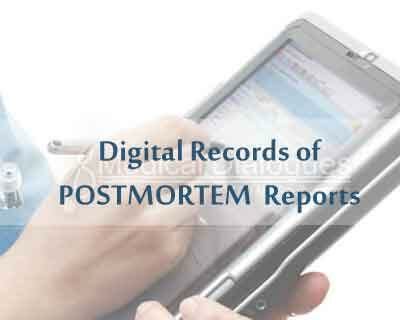 “We indicate that post-mortem reports should be kept in digital form. This is necessary as in many cases the parts of the reports given to the victim’s family and to the police get mutilated, which affects investigation in the cases,” it said. The bench further said this should be considered and necessary action be taken by the authorities concerned. The court’s suggestion came on a recommendation given by amicus curiae Saqib, who pointed out deficiency related to the post-mortem reports, besides availability of doctors at the mortuaries in the national capital. It asked the government to file an affidavit regarding the direction given by it. Earlier, the court had directed the Delhi government and other authorities having mortuaries under their control to timely supply materials sought by the morgues for carrying out post-mortem and preserving bodies. It had issued the direction after the amicus curiae told the court some of the mortuaries he visited were still using outdated and rusted implements to carry out autopsies and did not have basic materials for preserving viscera samples. The court was dealing with a PIL initiated by it after a murder accused died in custody and one of his eyes was found missing when his body was kept in the mortuary. The court on September 16 had expressed its anguish over the state of affairs in the city mortuaries and had directed the Delhi government to “act fast”.